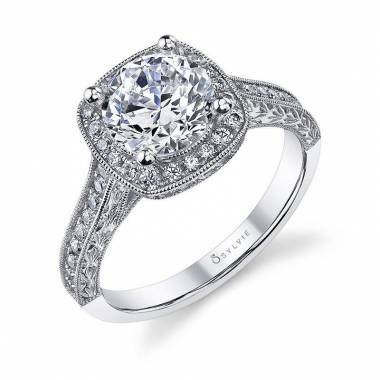 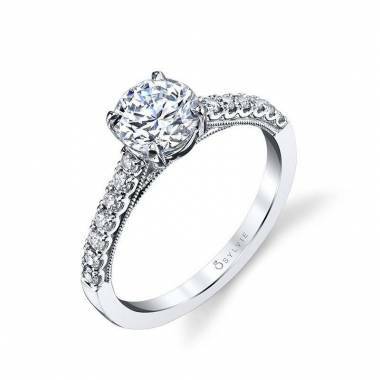 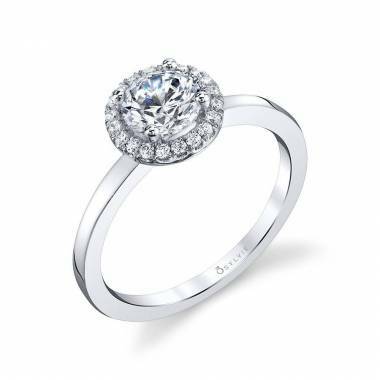 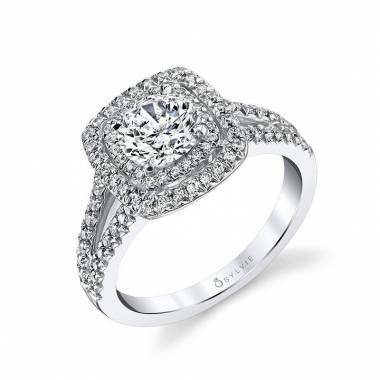 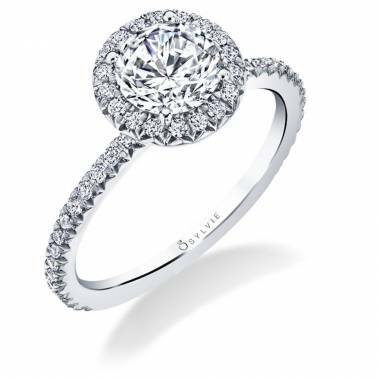 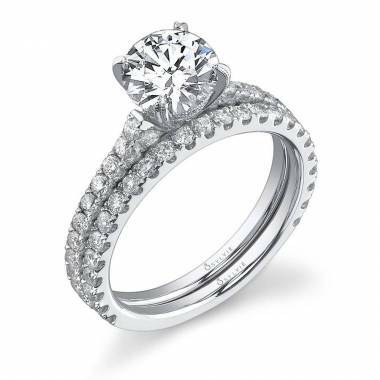 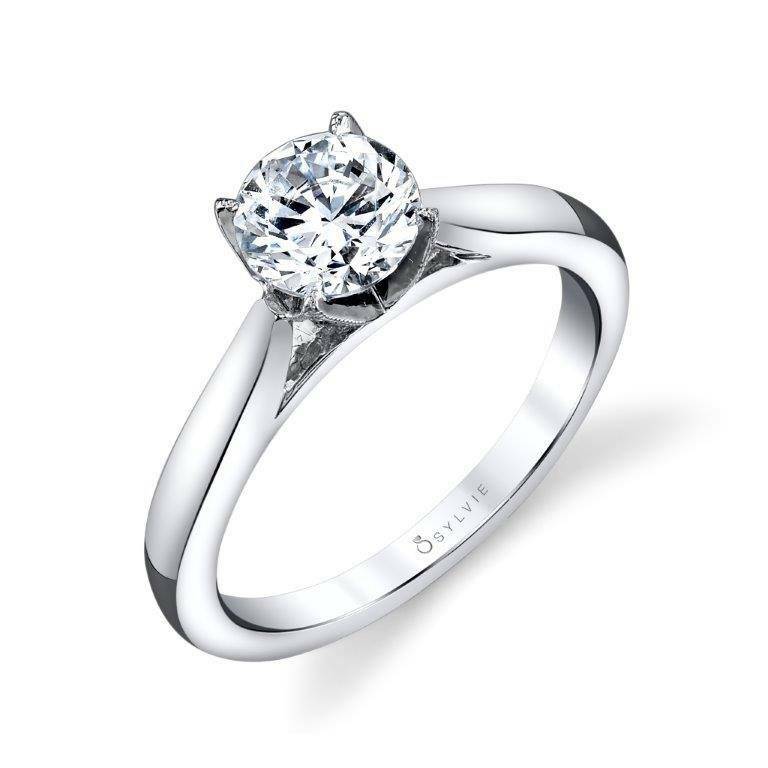 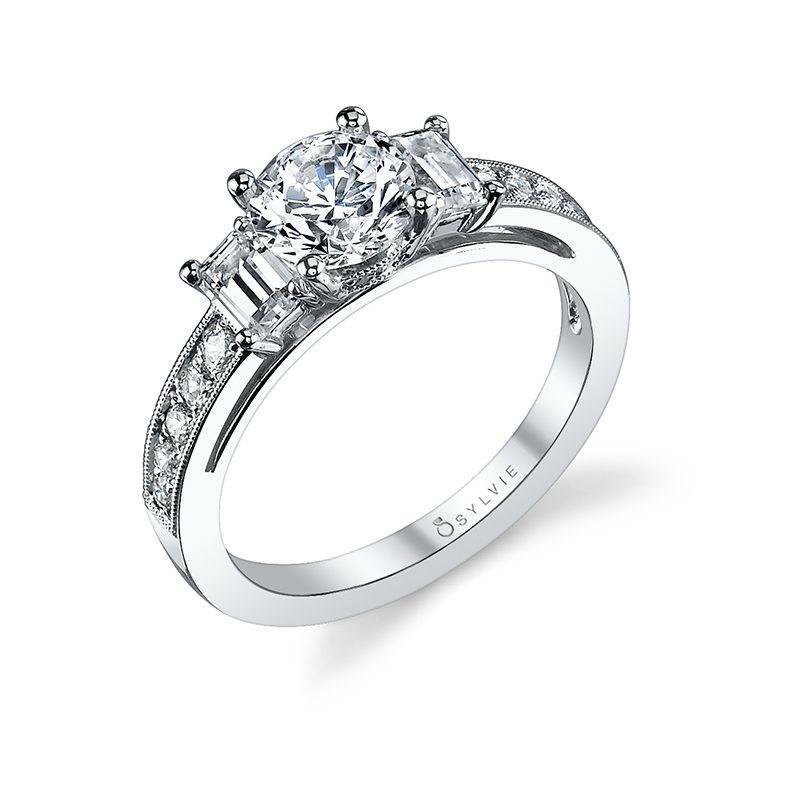 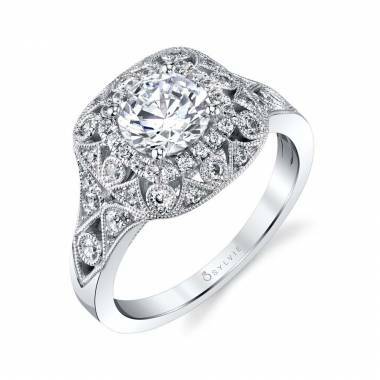 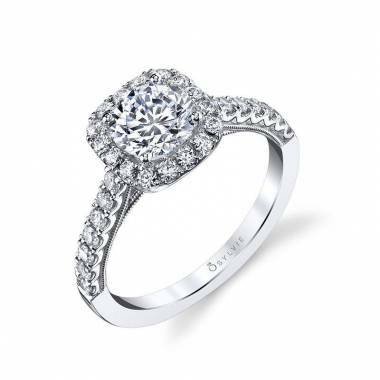 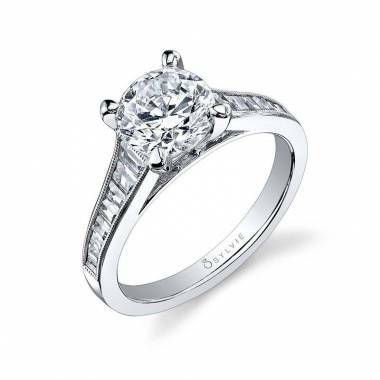 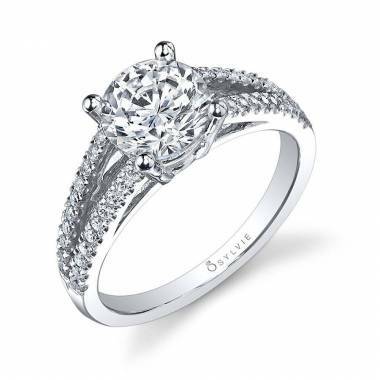 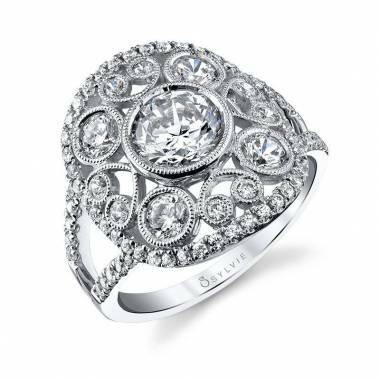 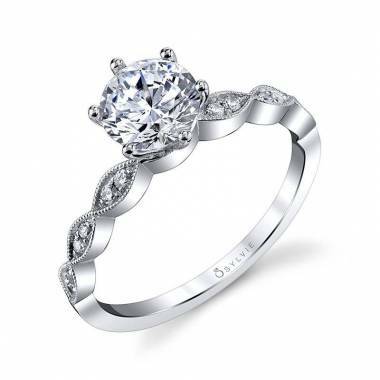 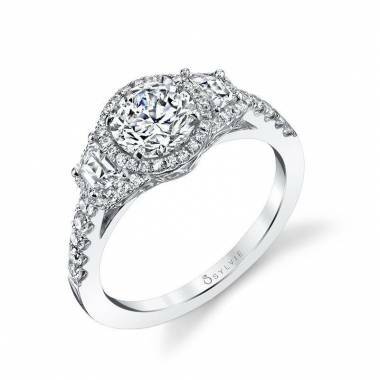 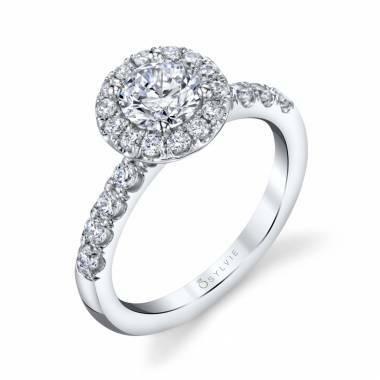 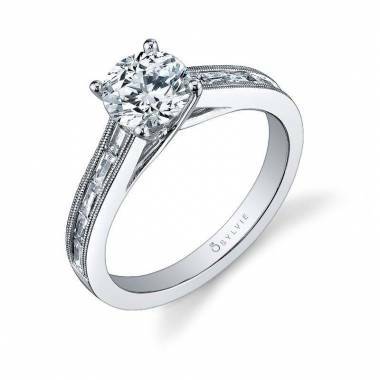 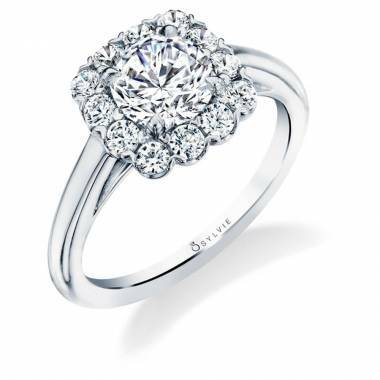 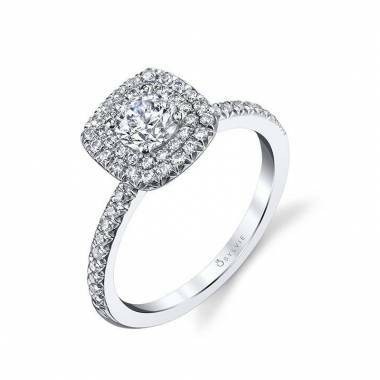 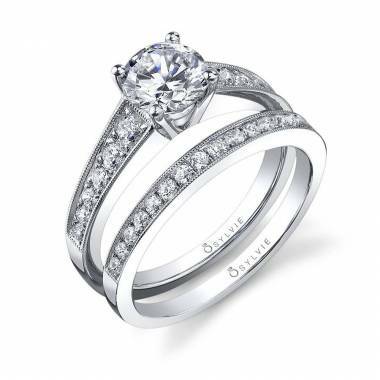 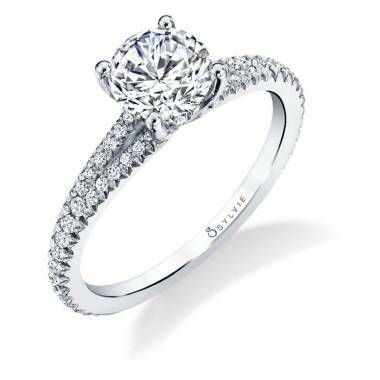 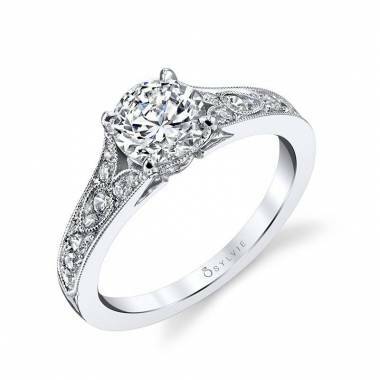 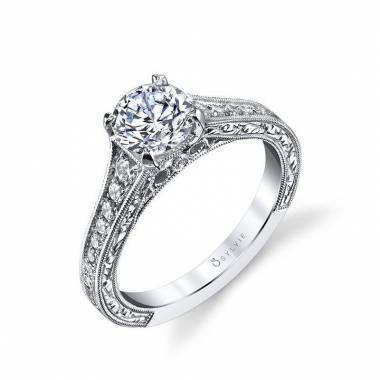 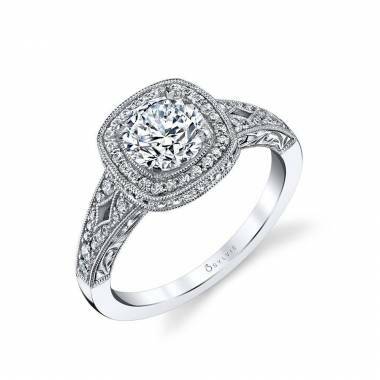 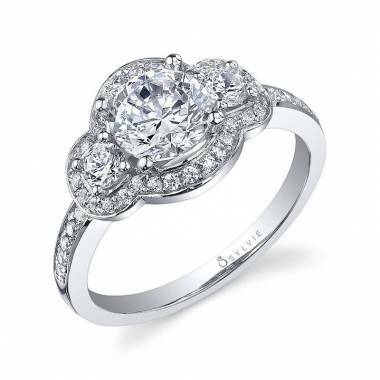 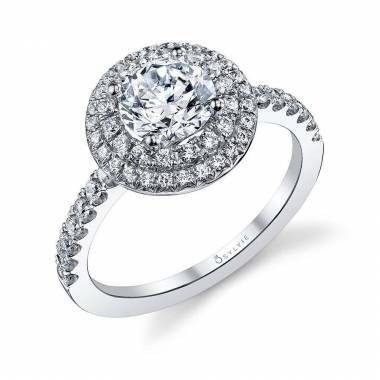 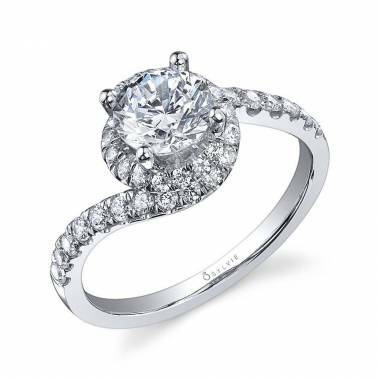 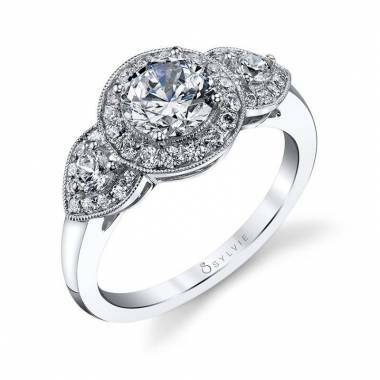 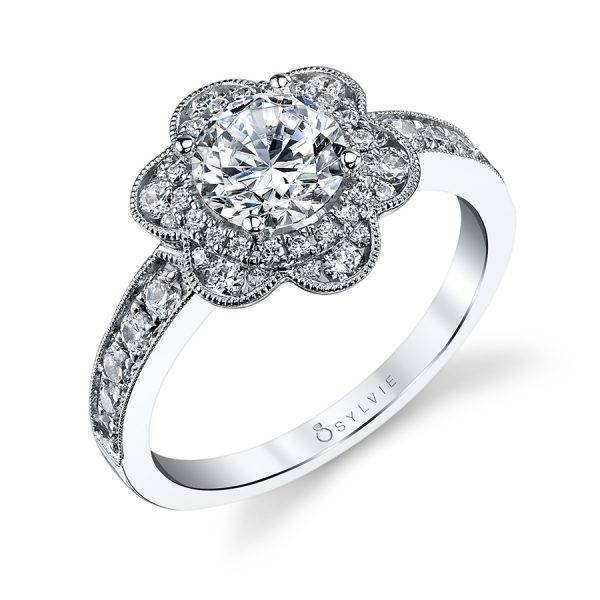 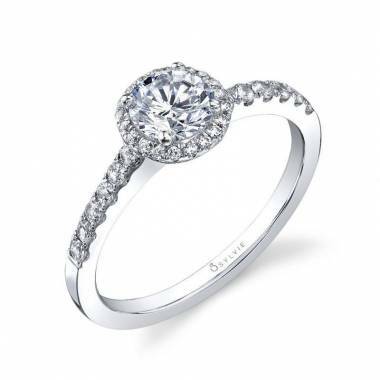 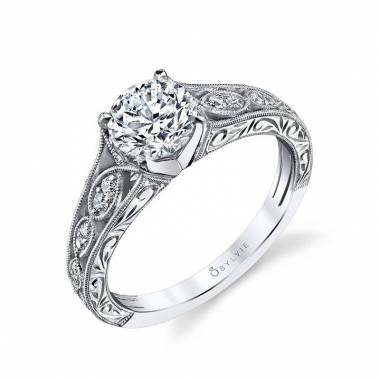 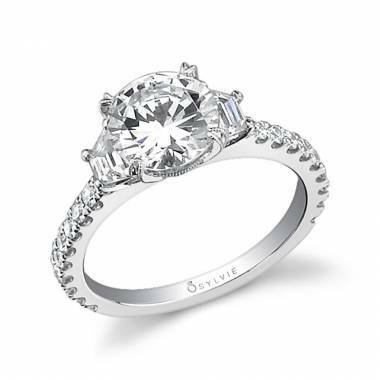 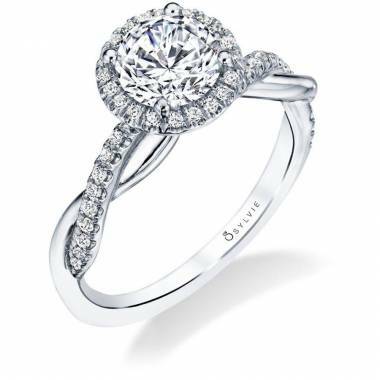 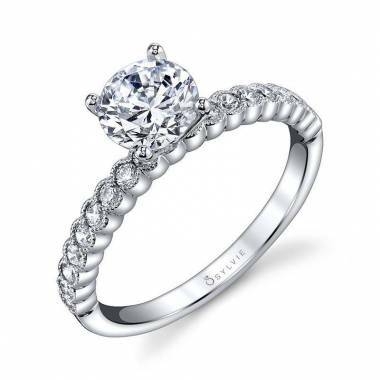 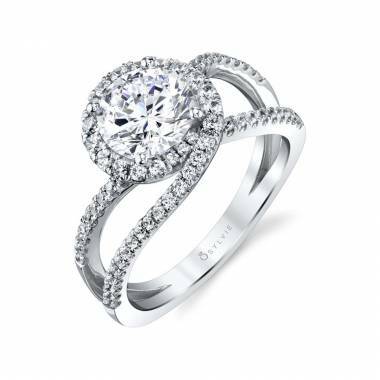 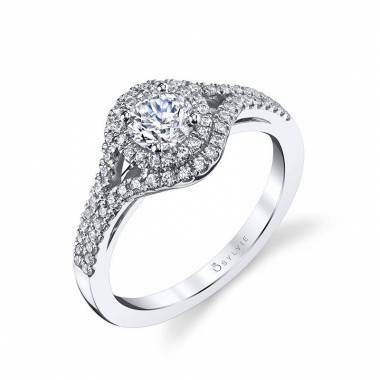 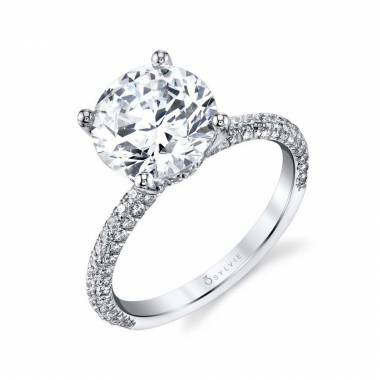 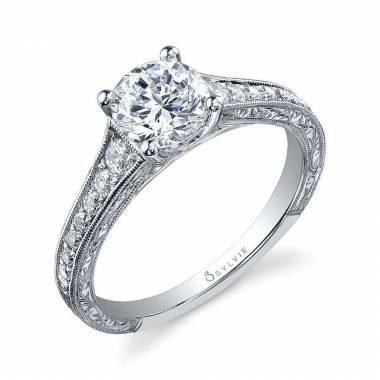 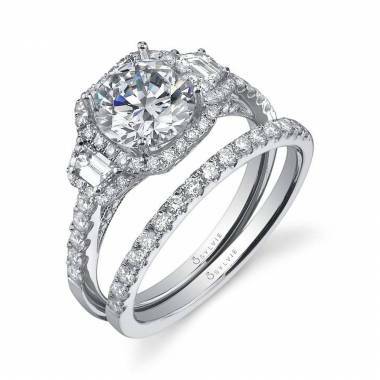 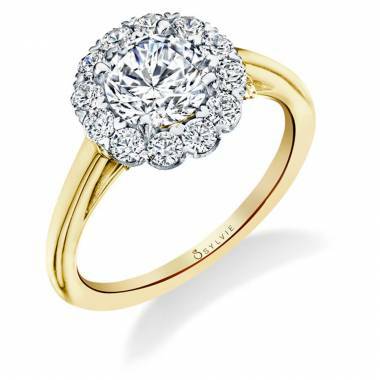 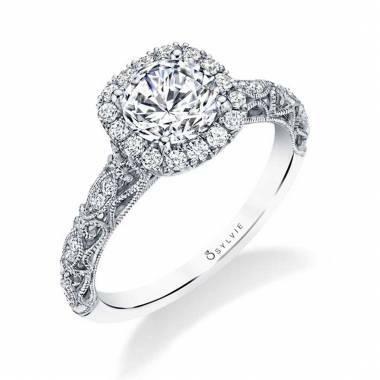 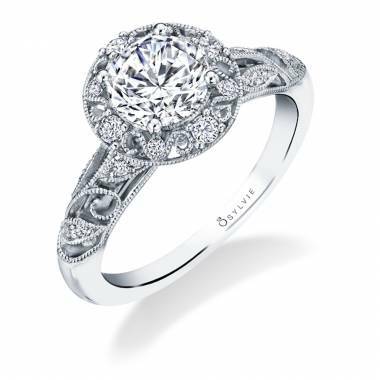 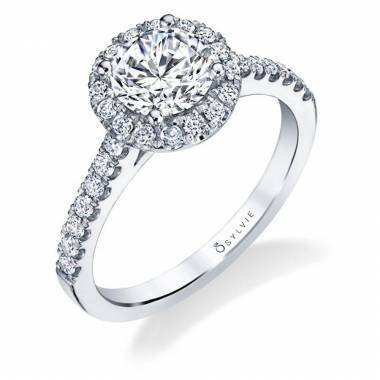 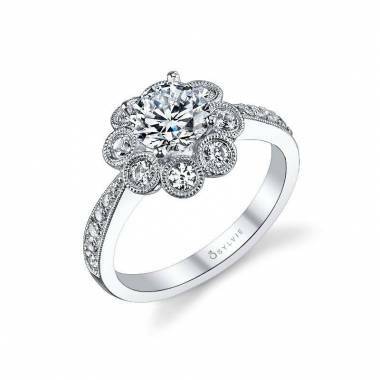 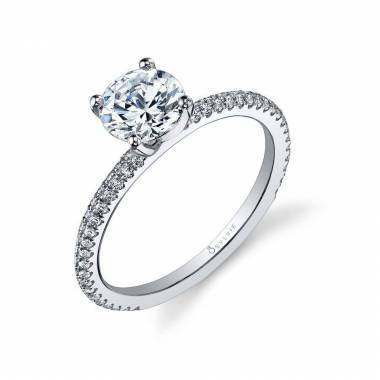 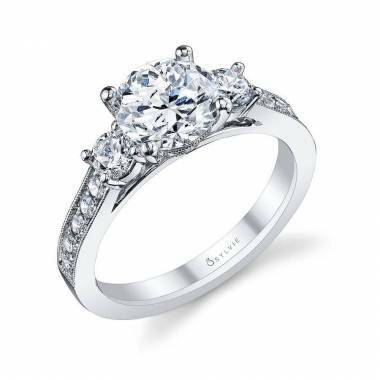 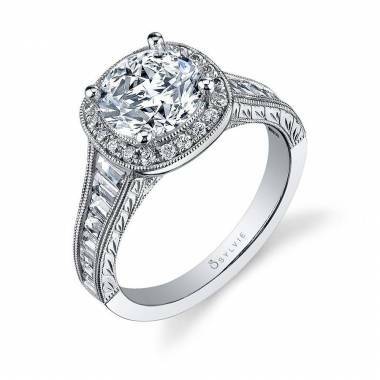 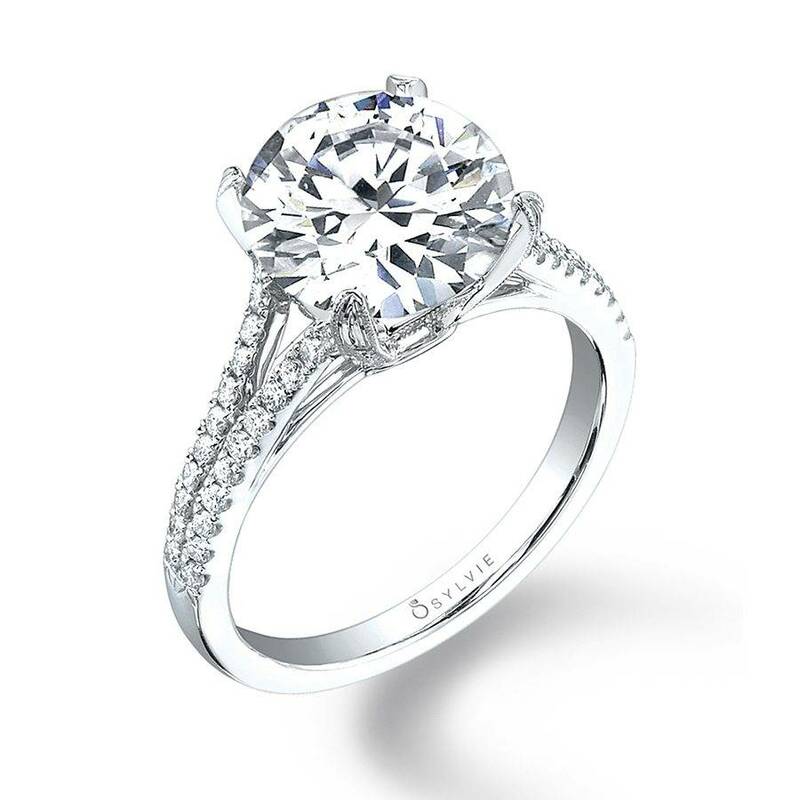 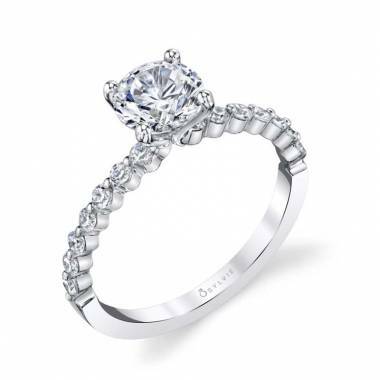 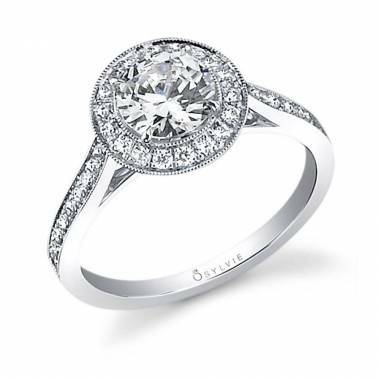 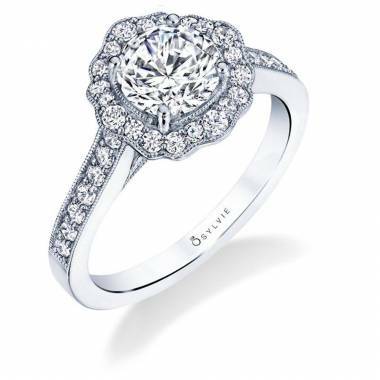 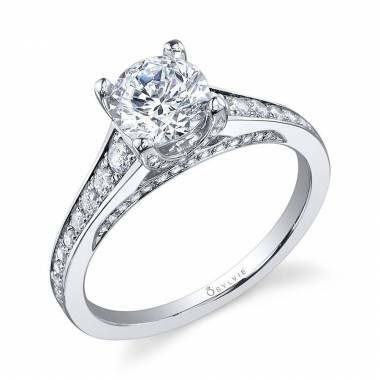 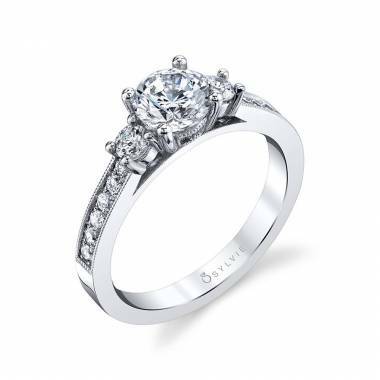 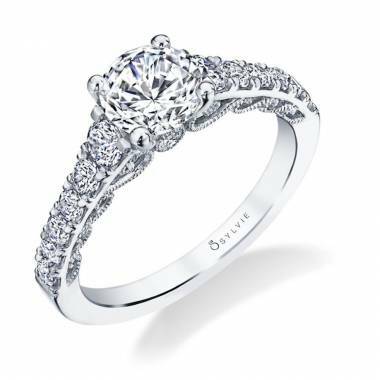 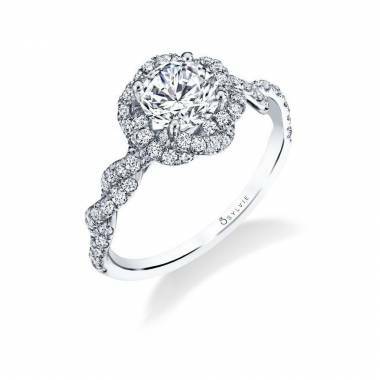 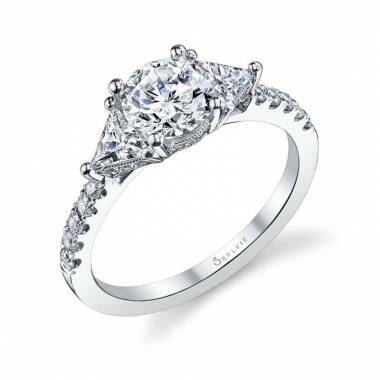 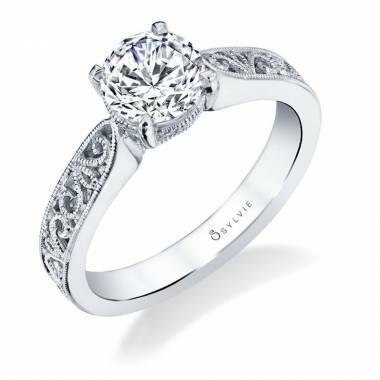 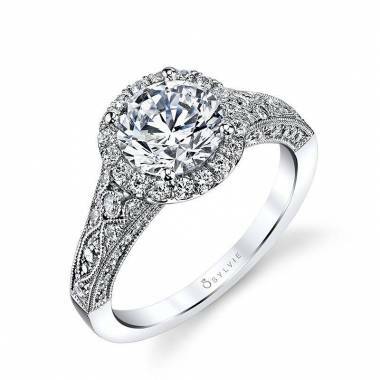 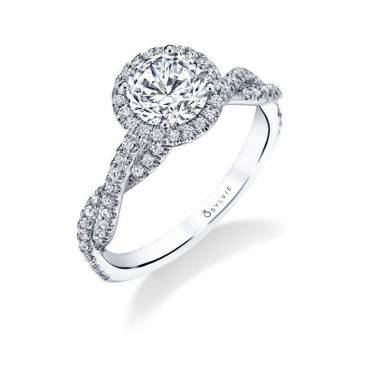 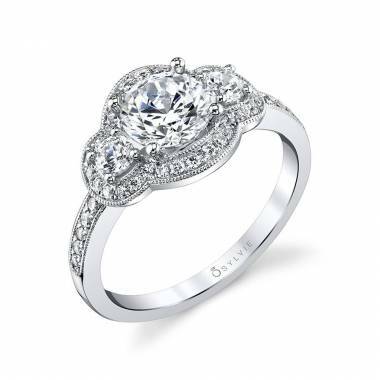 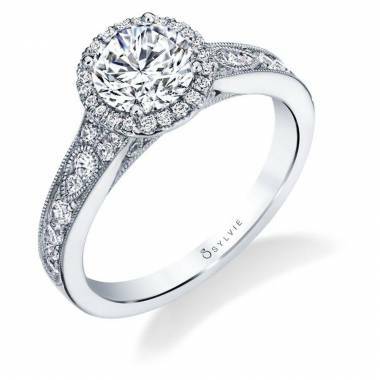 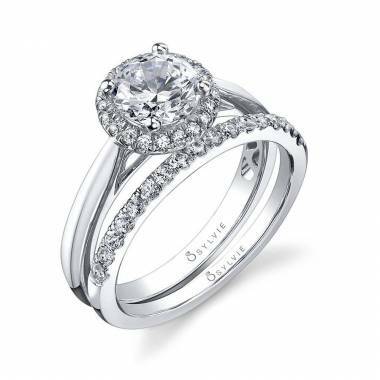 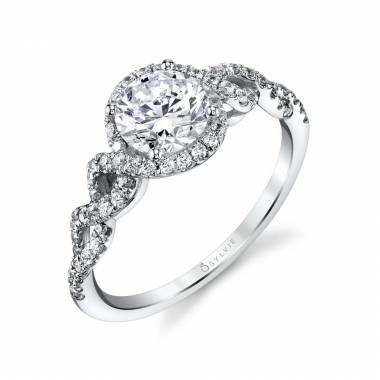 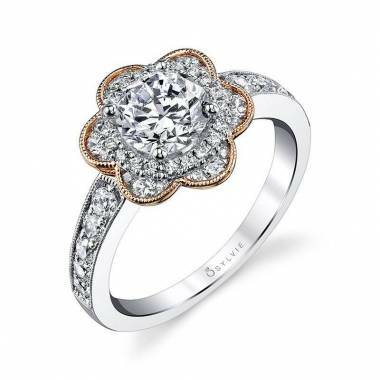 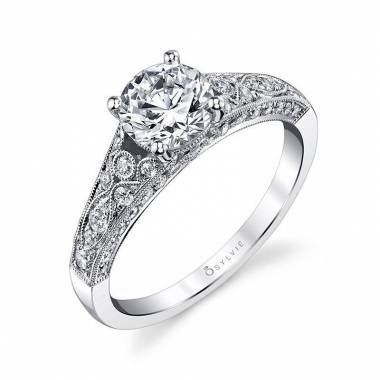 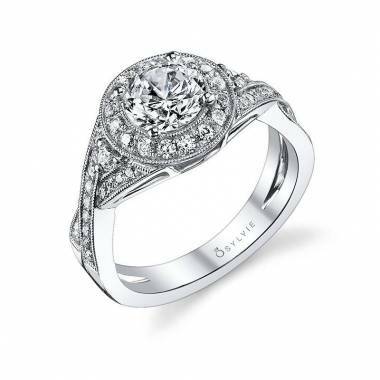 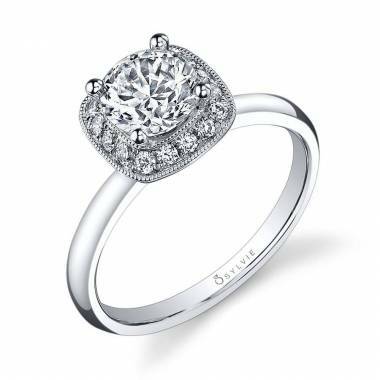 When you think of classic engagement rings, do you think of a classic round engagement ring? Most people do, and it’s because they are always beautiful and have a timeless feel that most brides dream about. 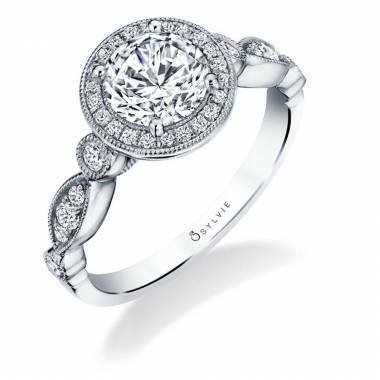 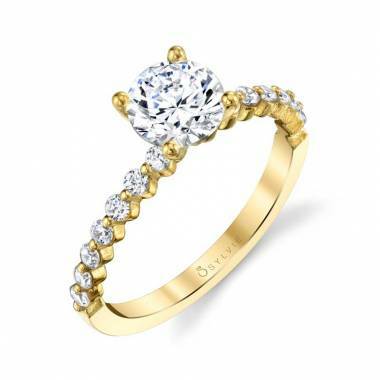 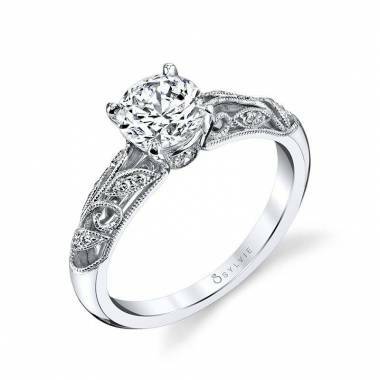 Round diamond engagement rings or round wedding rings never go out of style, and they look great on everyone. 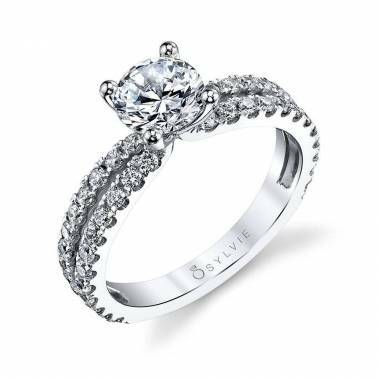 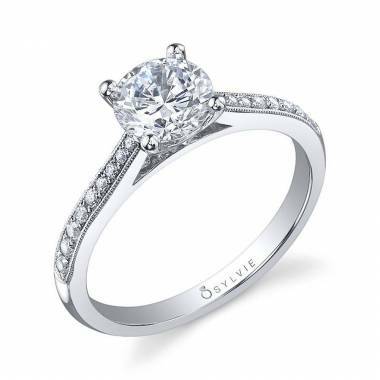 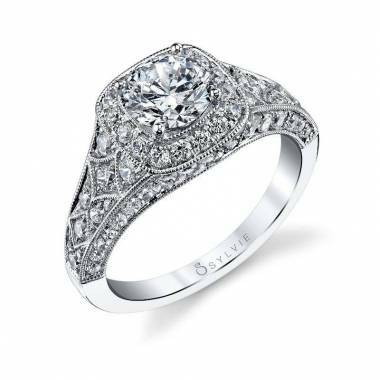 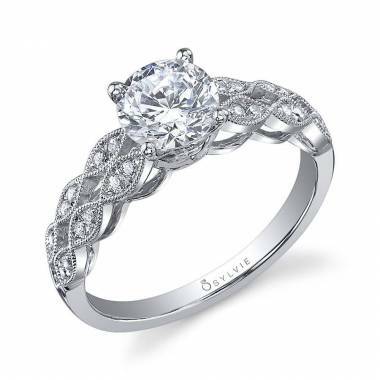 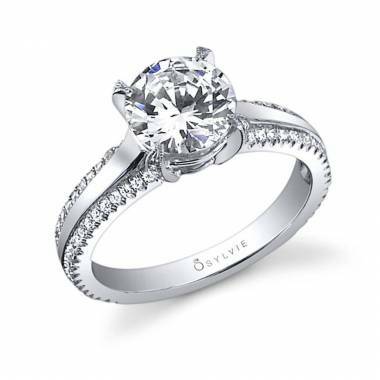 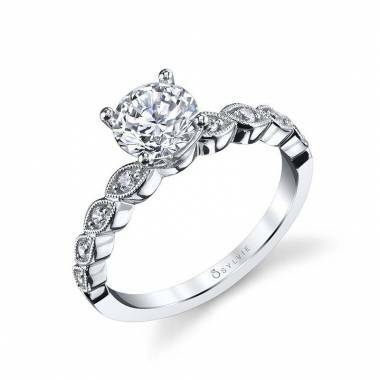 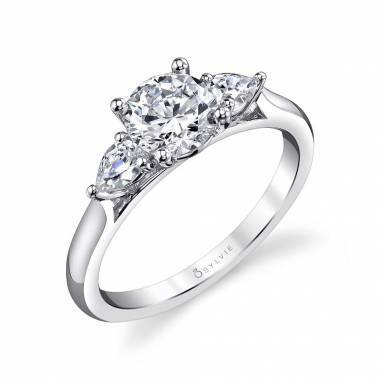 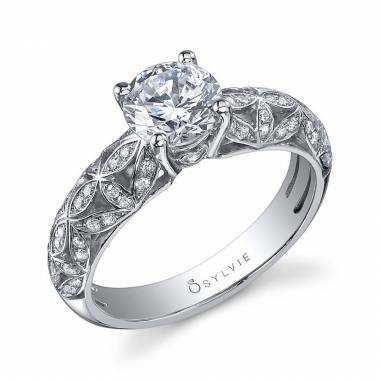 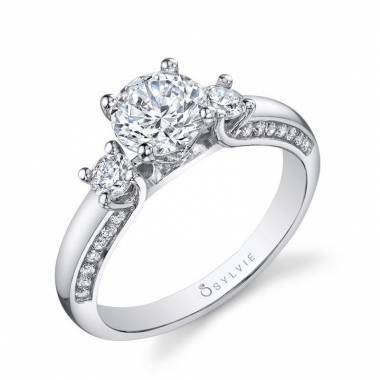 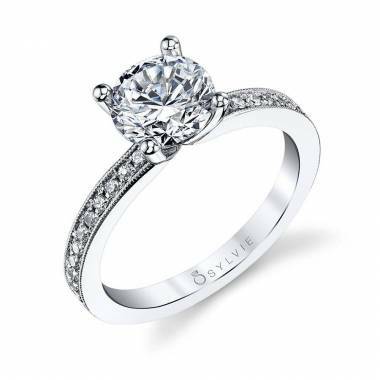 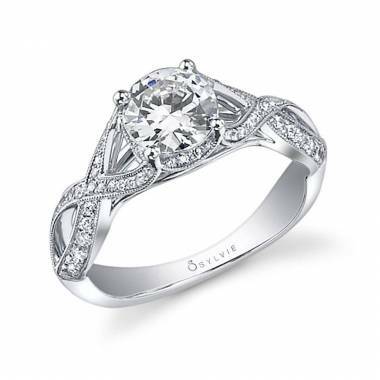 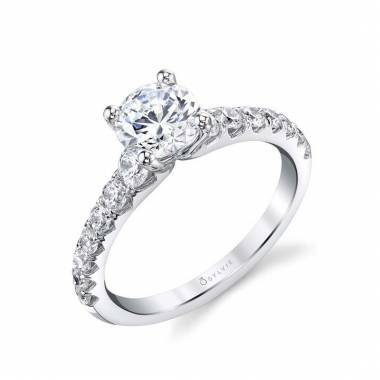 Each engagement ring in the Sylvie Collection is carefully checked and has to go through a 150 point inspection process, so you can count on getting only the highest quality engagement ring. 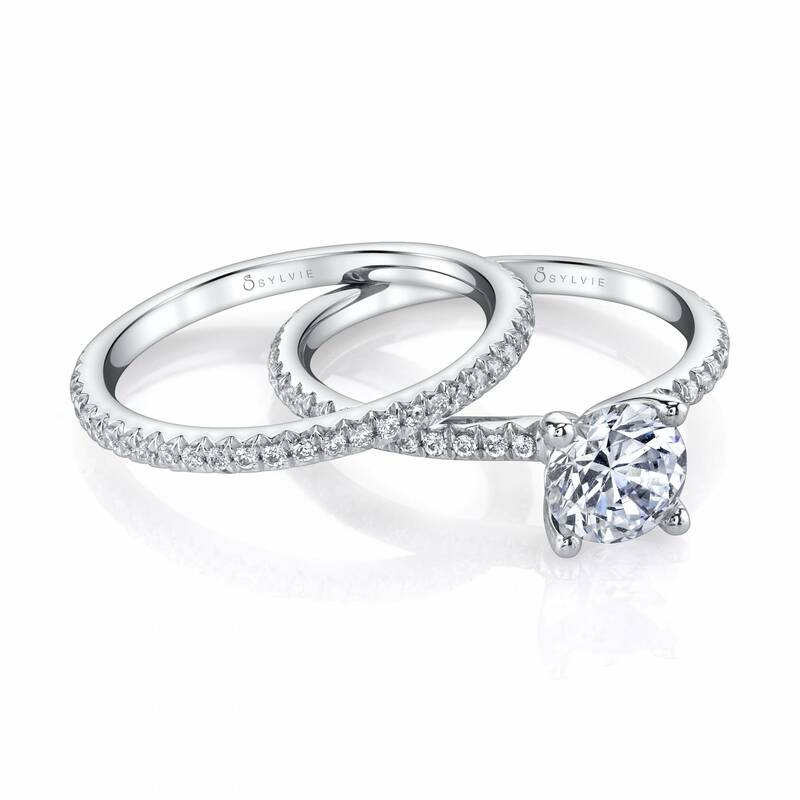 All of our rings are designed with love in mind, which means that your proposal will be extra special. 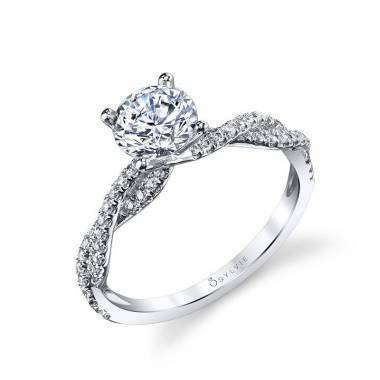 When you’ve found the love of your life and you’re ready to propose, let us help you! 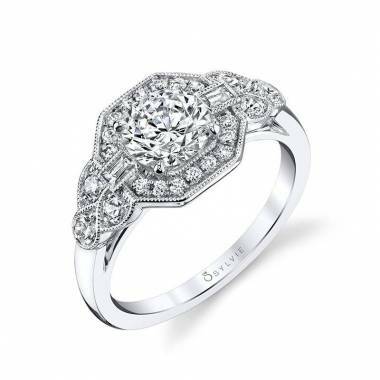 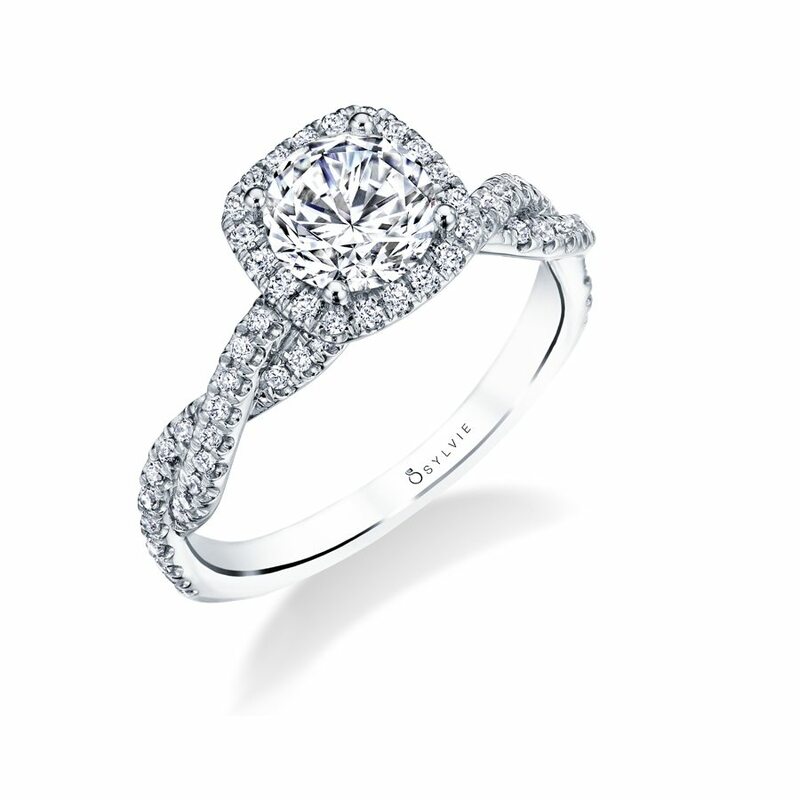 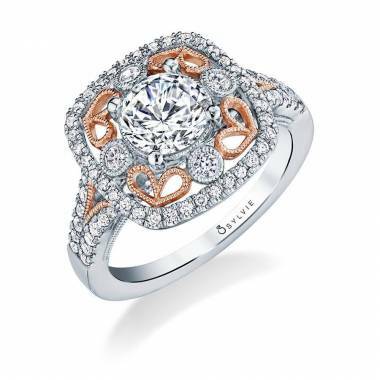 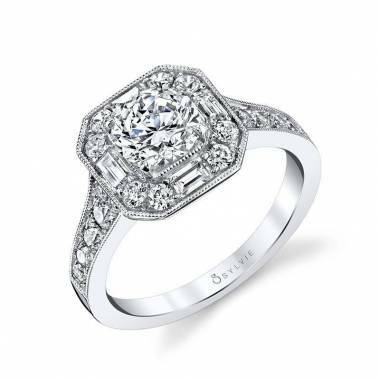 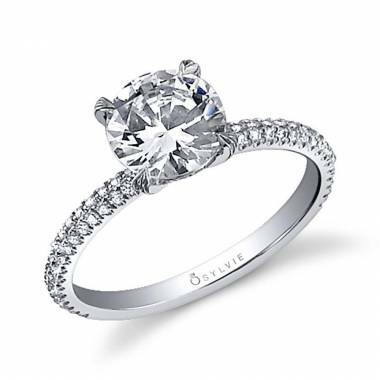 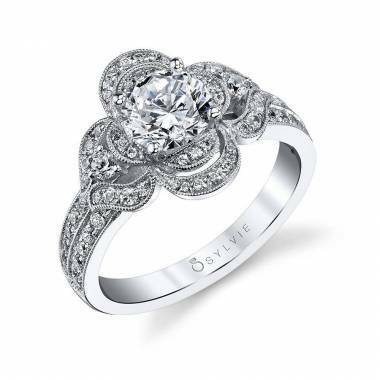 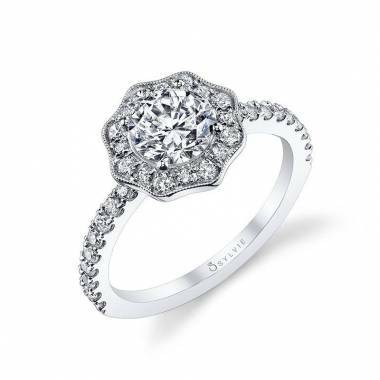 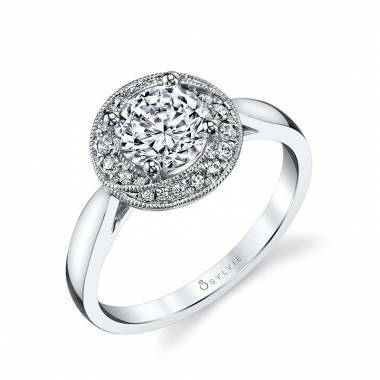 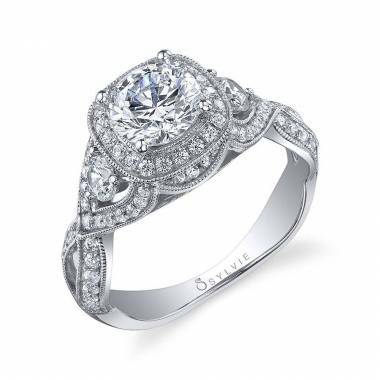 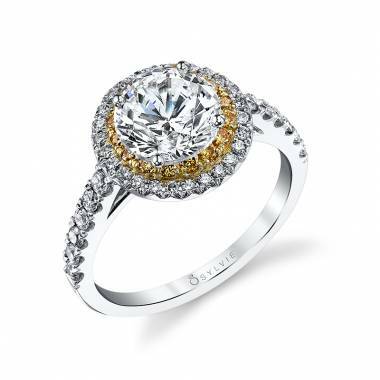 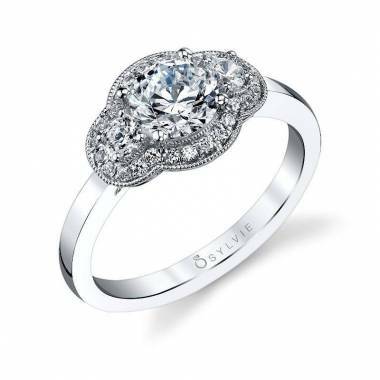 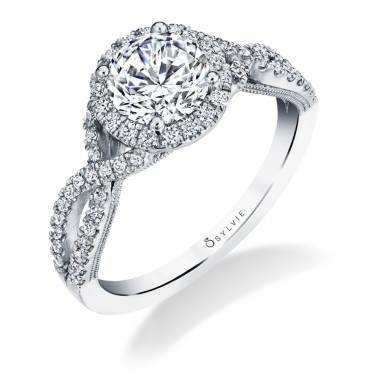 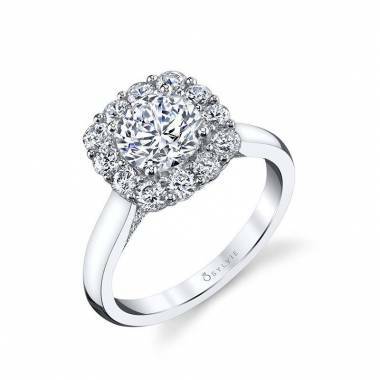 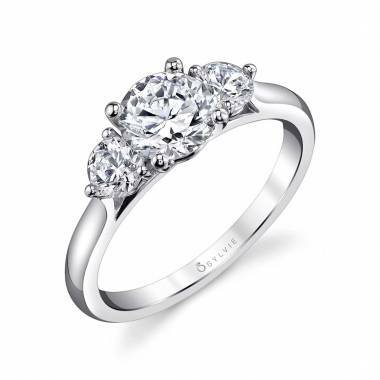 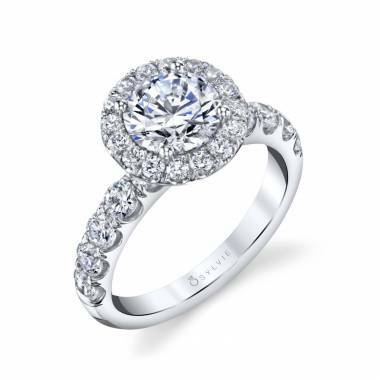 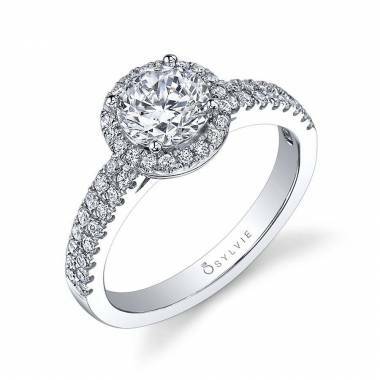 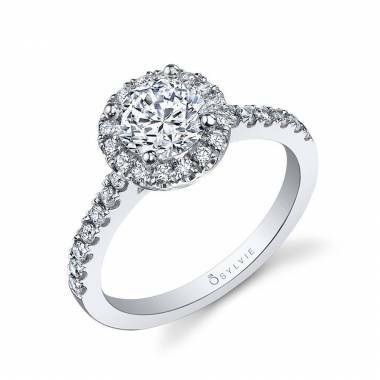 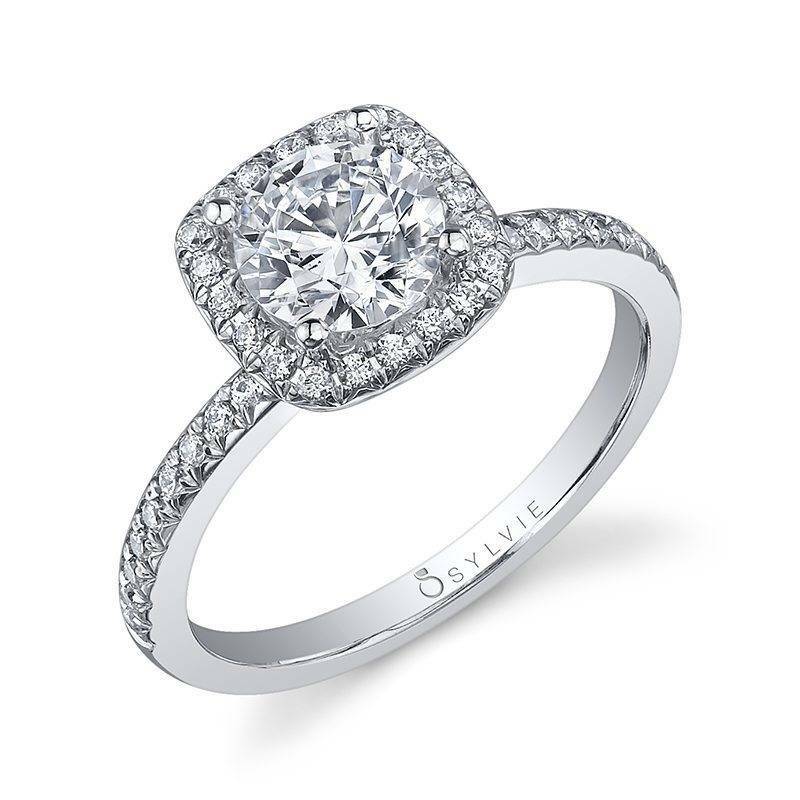 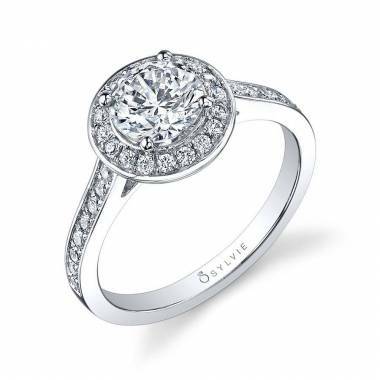 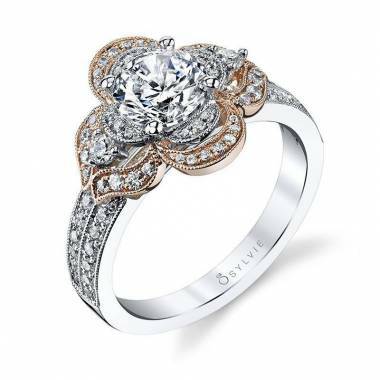 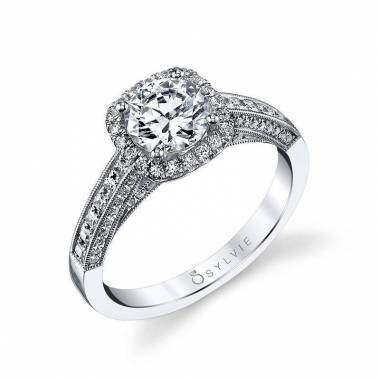 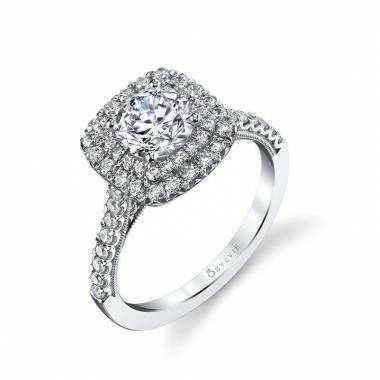 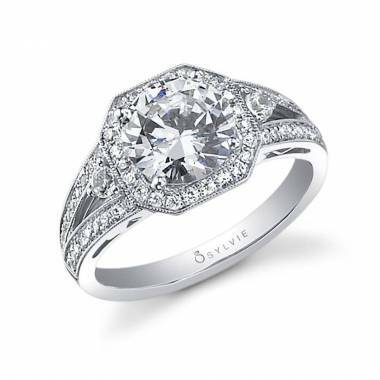 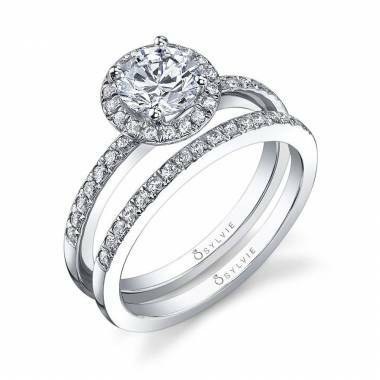 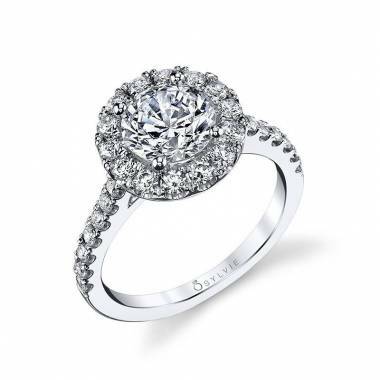 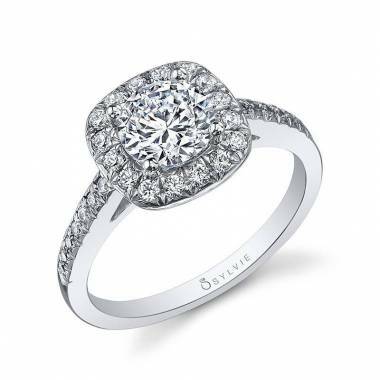 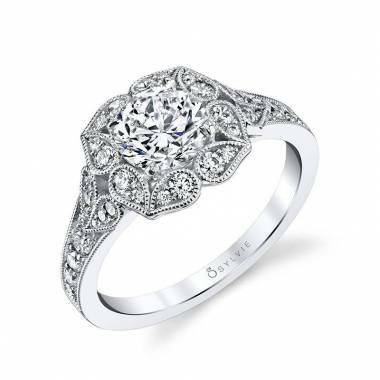 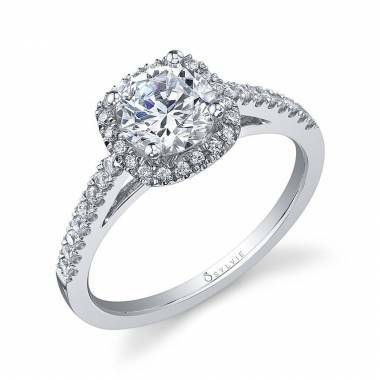 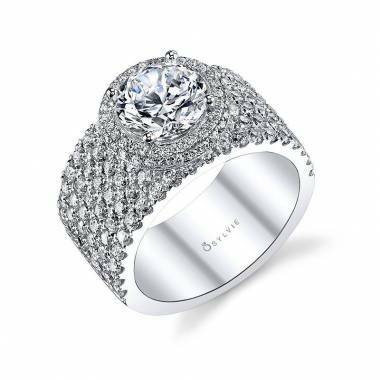 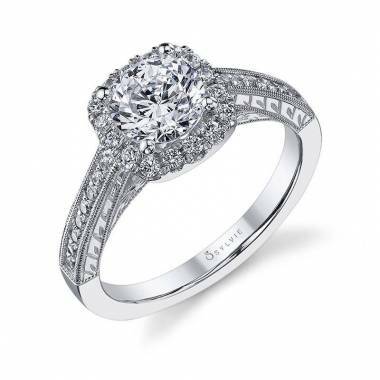 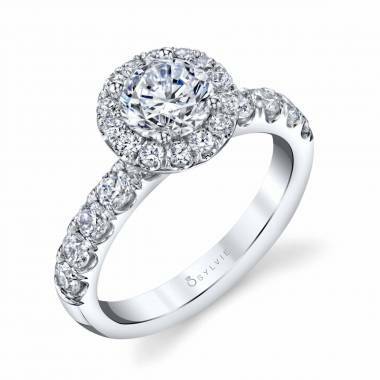 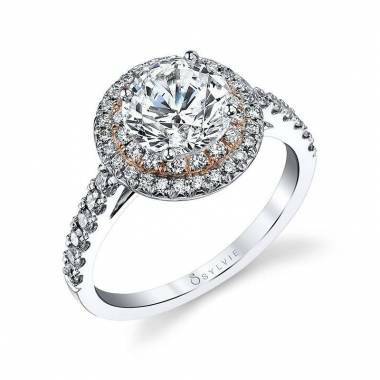 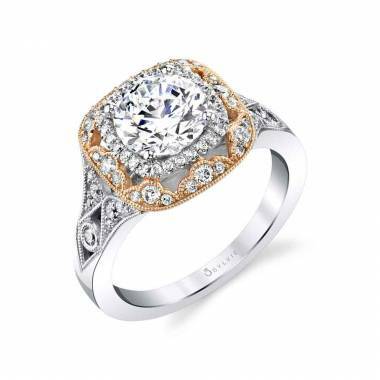 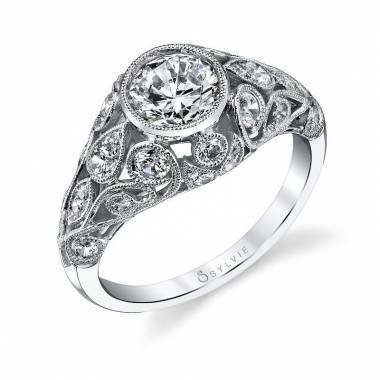 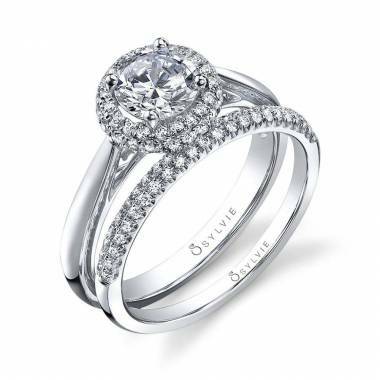 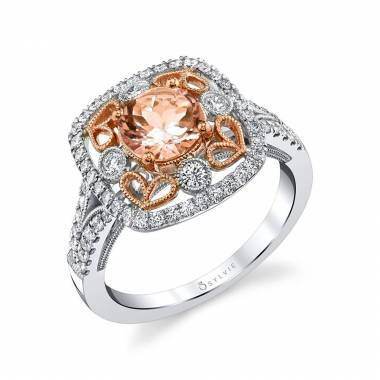 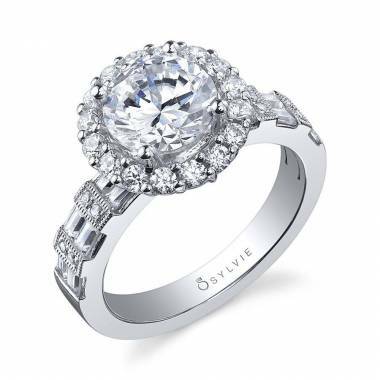 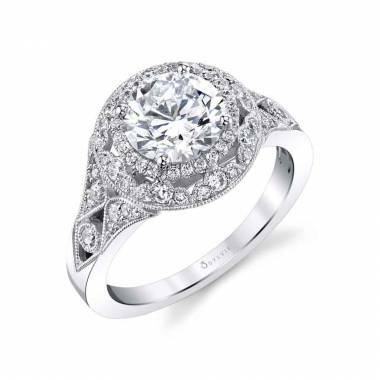 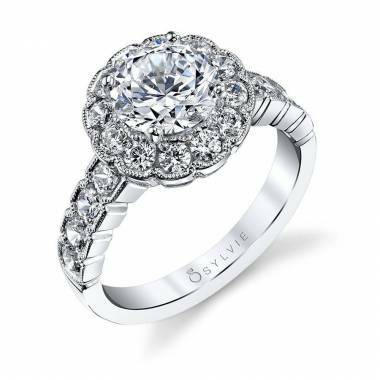 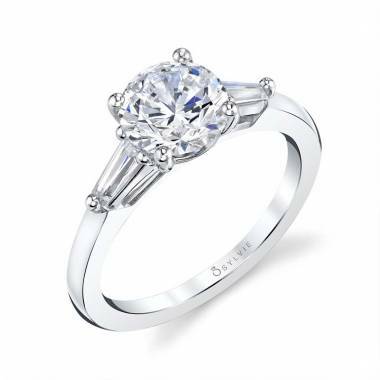 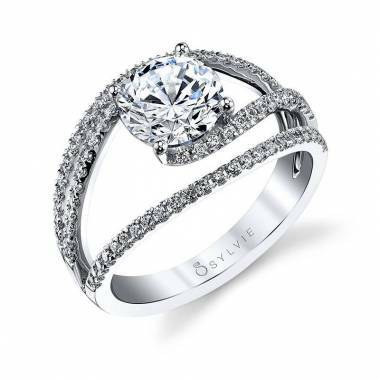 Finding the perfect round brilliant diamond ring can seem overwhelming, but not with the Sylvie Collection. 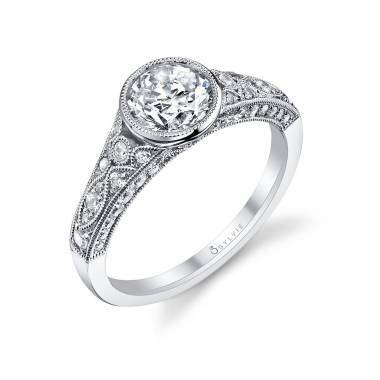 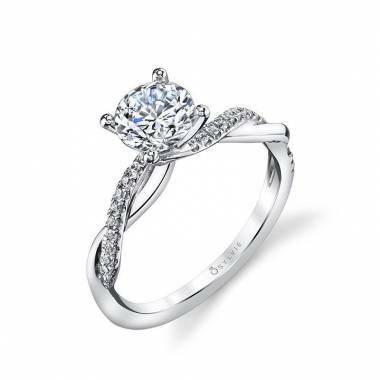 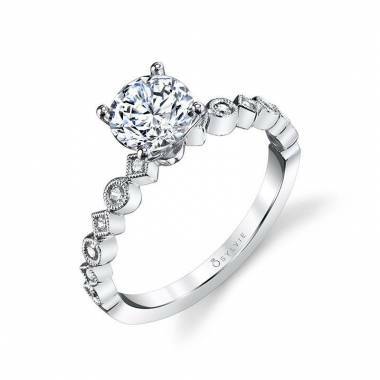 Show your future spouse just how much you love and care about them with a stunning round engagement ring. 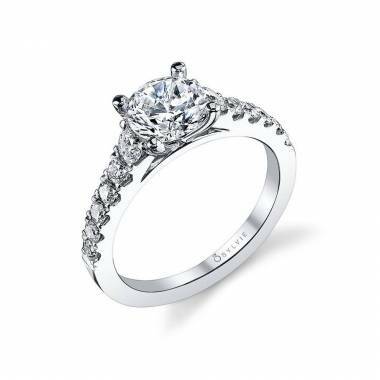 Whatever your style, whatever your budget, we are sure we have something that will get you excited about the proposal and your marriage. 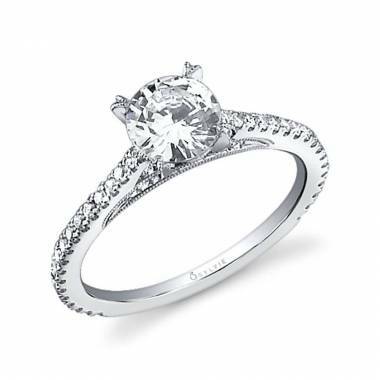 Between finding the perfect ring and planning your wedding, we get how stressful the whole idea can be. 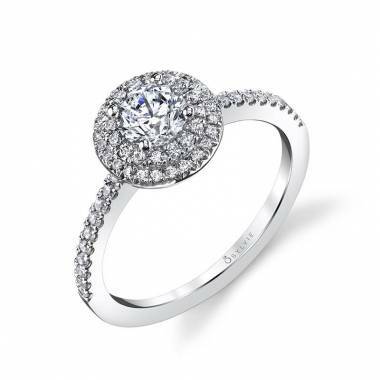 That’s why we came up with an easy process so that you can find the perfect round engagement ring in no time at all. 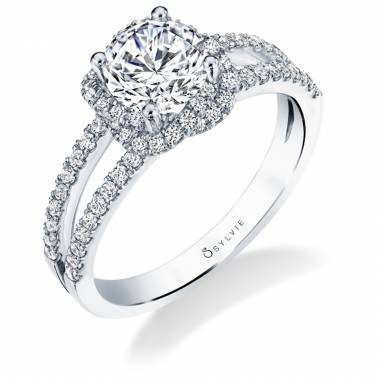 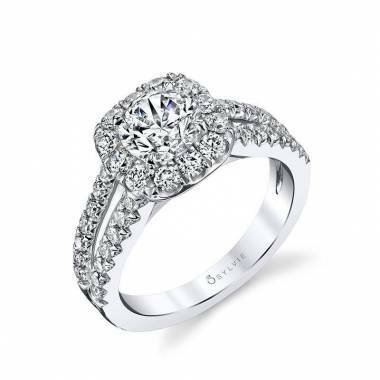 Browse through our large selection of engagement rings and find one that matches your partner in style and personality. 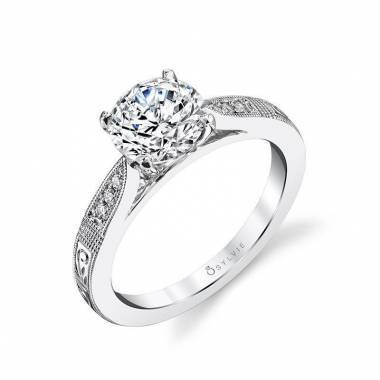 Then use our store locator to find an authorized retailer that is close to you. 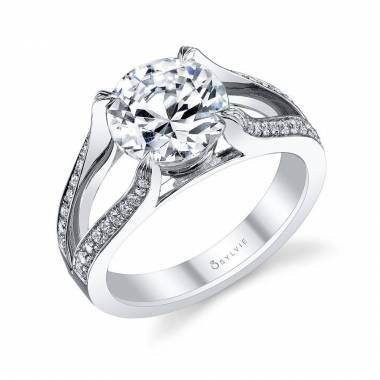 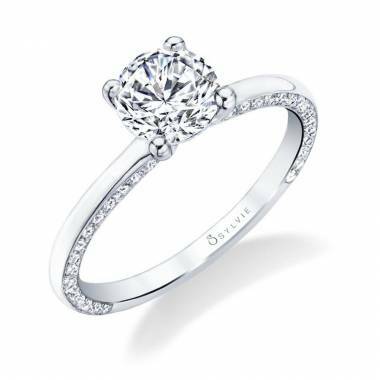 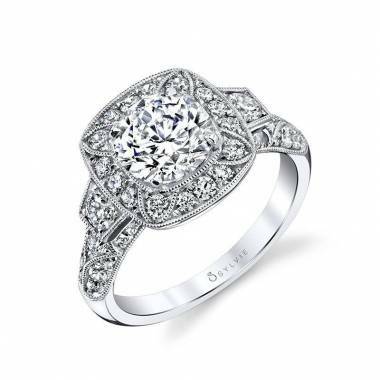 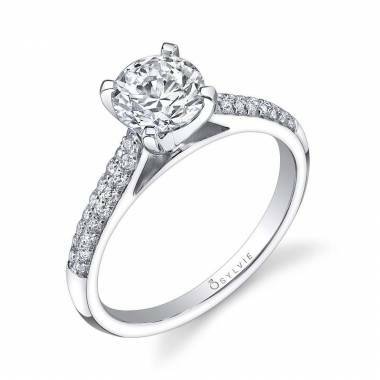 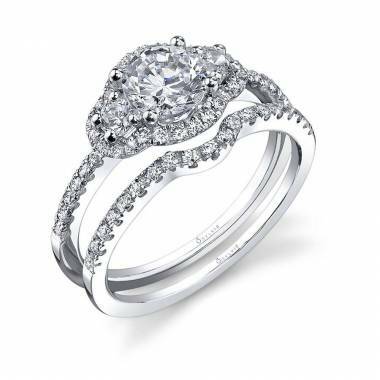 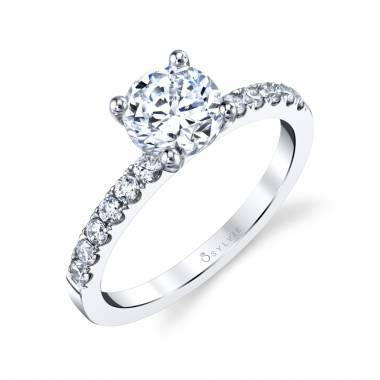 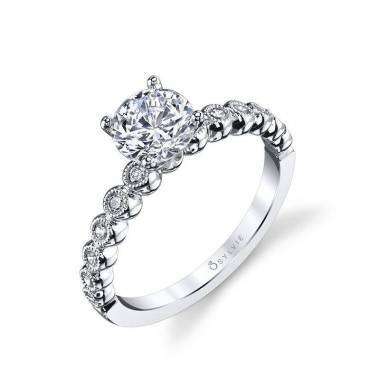 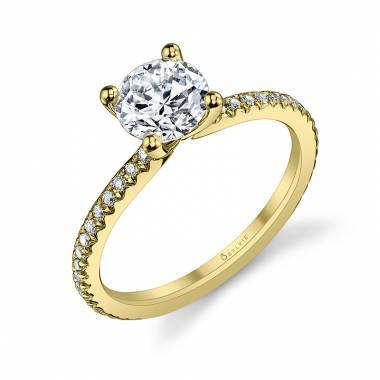 If the specific round brilliant diamond engagement ring you want isn’t in stock at the closest location, just ask us how we can deliver it right to you! Have questions and need more information about the ring you chose? 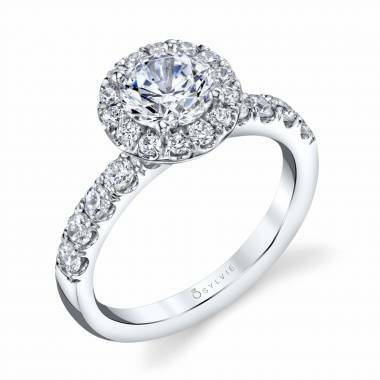 Click on “free preview” button or use the contact us form and we will answer any question you have. 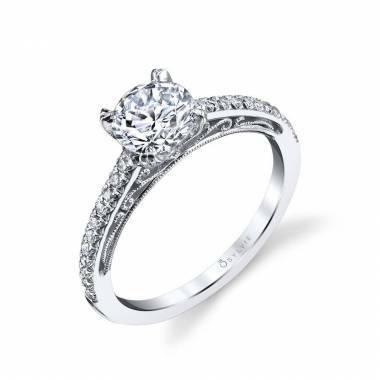 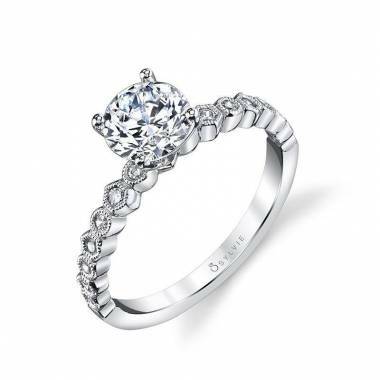 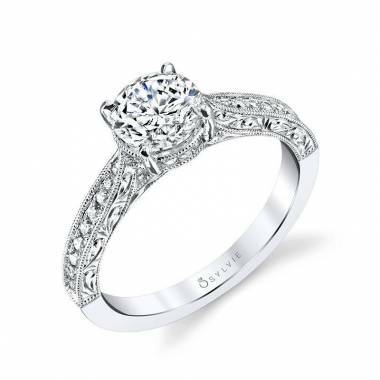 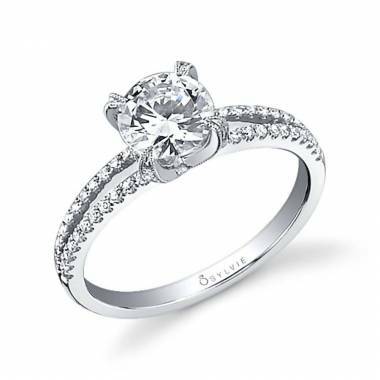 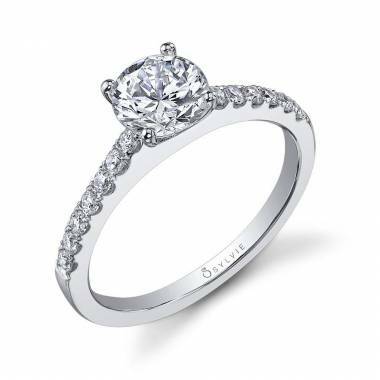 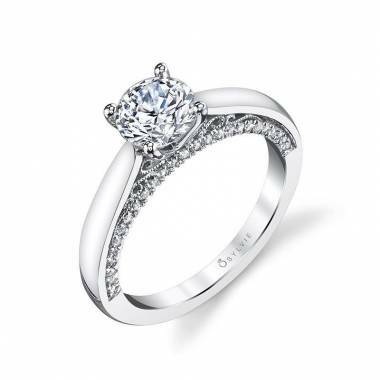 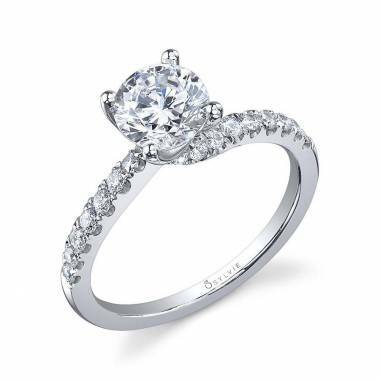 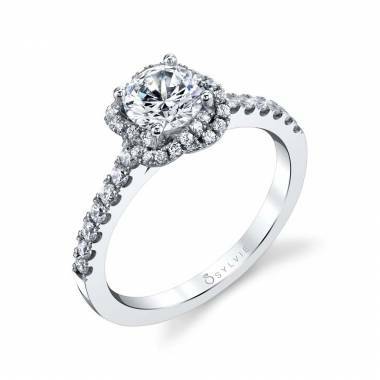 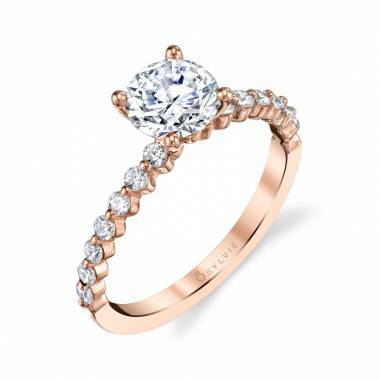 Now that you’re ready to propose, let us help you find the perfect round engagement ring.